The WorldSkills flag relay is taking place in Salekhard before opening of the fourth Arctic educational forum. 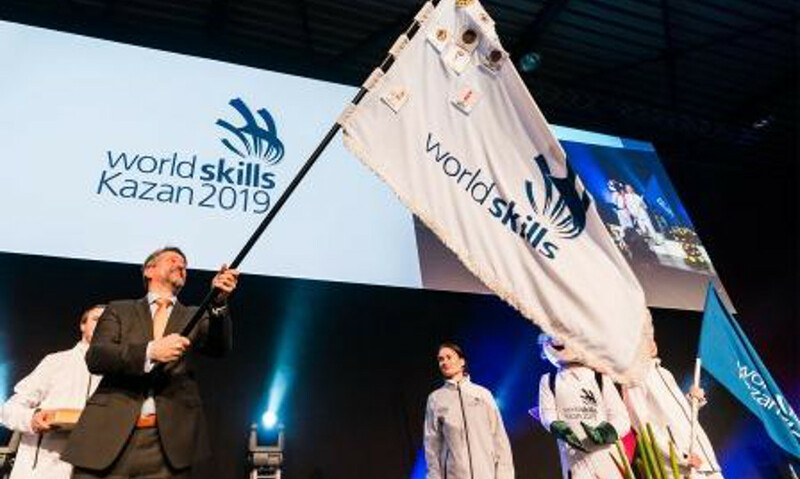 Representatives of the organizing committee of the world championship on professional skills according to standards WorldSkills Kazan 2019 are bringing the flag to the regional capital. According to the information given to a correspondent of the news agency “Sever-Press” by the chief specialist of the office of regional development under the department of education Tatiana Shevyakhova, the project is called to unite participants of the movement WorldSkills around the world. As she says, the flag is passing through the ceremony of crossing of the Polar Circle, its honoring is planned for the 19th of March – the opening ceremony of the forum. The meeting of the representatives of the organizing committee and students of Yamal will take place on the same day. The students will go to the capital of Tatarstan in the end of August to the 45th world championship “WorldSkills”. The delegation of Yamal will include 36 schoolchildren and students of Yamal colleges and 4 pedagogues, as the specialist says. The federal stage of the WorldSkills flag relay was started on the 8th of August in Yuzhno-Sakhalinsk as part of the opening ceremony of the final of the sixth national championship “Young professionals” (WorldSkills Russia). The flag relay was started last year. The flag was officially handed over to the host city of Kazan at the closing ceremony of the world championship WorldSkills Abu Dhabi 2017. Then it was delivered to Sochi — the project “The flag relay” was officially launched there. In December 2017 the flag was sent to the International space station, where it spent more than two months before returning to the Earth in late February 2018. After the start of the international stage of the relay in Madrid the flag went to the travel around 20 countries that previously hosted the world Championships in professional skills. It visited Germany, the Netherlands, the United States of America, the Republic of Korea, the United Arab Emirates, Portugal, Finland, France, Ireland, Switzerland, Australia, Canada, Italy, Belgium, Great Britain, Austria, Brazil and Japan. The flag came to Russia from Chinese Taipei, where it was honored at the 48th WorldSkills national championship. In each country logos of the competitions, which took place there, were put on the flag.